The city of Turin where you will find general information about the city of Turin, from the history of the city to its economy, passing through art and culture and its famous people. In the section dedicated to events you will find information on scheduled exhibitions and fairs without neglecting folkloric events. Information about Turin: here you can discover the city of Turin by looking at its famous monuments, visiting its museums, having a rest in its beautiful parks, browsing the local markets and walking through the itineraries that we recommend. 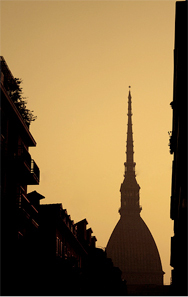 Would you like to discover Turin with a guided tour? Thanks to the collaboration with Viator we offer to you the best guided tour to visit Turin or the possibility to book an hop on hop off tour. Turin Tourist Guide: wether you want to visit Turin in a day or inseveral days, here you can find a lot of useful information for your stay. You can find here information on how to arrive in Turin and how to move in the city once there, where to find accommodation and where to get tourist information. You can get info about the weather in Turin and useful tips on how to spend your free time there, whether you choose to go to the gym or shopping, to spend an evening to the theatre or to have a tour to the Murazzi's area. And if you have troubles in finding streets, then you can have a look at our road maps or useful maps to move around Turin. Useful addresses in Turin: in this section we gather for you useful contacts that you may need in different occasions: whenever you need an emergency number, the address of a consulate for foreigners in Turin, internet points to surf the net, if you need to rent a car o a bike or just looking for a laundry, please browse our pages!